An "animal party" will be standing in Belgium's regional and federal elections next month for the first time. 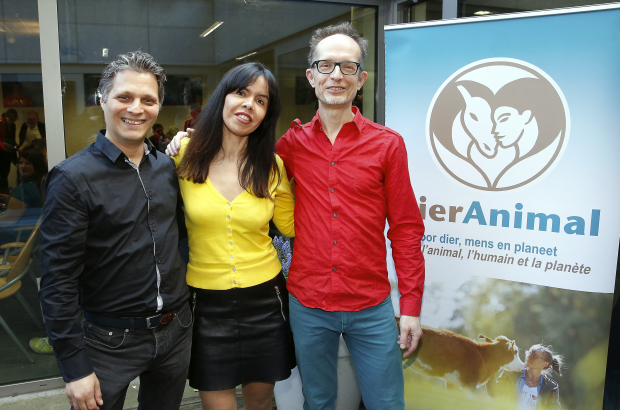 DierAnimal describes itself as "national, bilingual and pro-animal" and is fielding 200 candidates, all of whom are "at least vegetarian or vegan". It says other political parties in Belgium are failing to address animal-related issues - and intends to bring together "everyone who wants to eliminate all forms of oppression and exploitation of animals, humans and natural resources". The party has formed 17 lists and will be present on the voting slip in the Brussels regional elections in both French and Dutch. DierAnimal has also put forward lists for the Flemish parliament elections in Antwerp, Flemish Brabant, West and East Flanders; and for the Walloon parliament in Walloon Brabant, the Centre region, Liège, Namur and Tournai-Ath-Mouscron. Animal party candidates are vying for election to the federal parliament in Antwerp, West Flanders, Namur and East Flanders. But you won't see the party's name on the ballot paper for the European elections unless you live in the German-speaking region of East Belgium. "Having received no support from parliamentarians in the French and Dutch-speaking electoral college, and after narrowly failing to collect the required 5,000 signatures, we will only participate in the German-speaking electoral college," DierAnimal president Constance Adonis said.